Warner enjoys a huge fan-base in India, he captains Sunrisers Hyderabad in the cash-rich Indian Premier League (IPL). The Australian swashbuckler, David Warner expressed his heartfelt gratitude to his fans on the completion of a month-long tour to India. India and Australia shared the honours in the three-match T20I series after the final game at Hyderabad was called off due to a wet outfield. The hosts won the rain-curtailed first T20I in Ranchi to take the lead in the series, but Australia under the leadership of Warner bounced back in the second game to level the series 1-1 with a comprehensive 8-wicket win in Guwahati. Earlier, Virat Kohli's men clinched the ODI series 4-1 against the world champions. The visitors barely manage to save their grace by winning the fourth ODI courtesy Aaron Finch's smashing hundred that helped Australia to set up a massive score on the board to defeat India by 21 runs. Warner took to social media to express his love for India, he wrote 'Thanks India for hosting us once again. We absolutely love coming to your country and playing cricket. Sorry about last night in Hyderabad but I hope to see you all again next year'. Warner is a fan favourite in Hyderabad as he captains Sunrisers Hyderabad - a franchise in the cash-rich Indian Premier League (IPL). The aggressive left-hander had led Sunrisers to their maiden IPL title in 2016. Warned scored 245 runs in five innings in the ODI series against India at an average of 49. 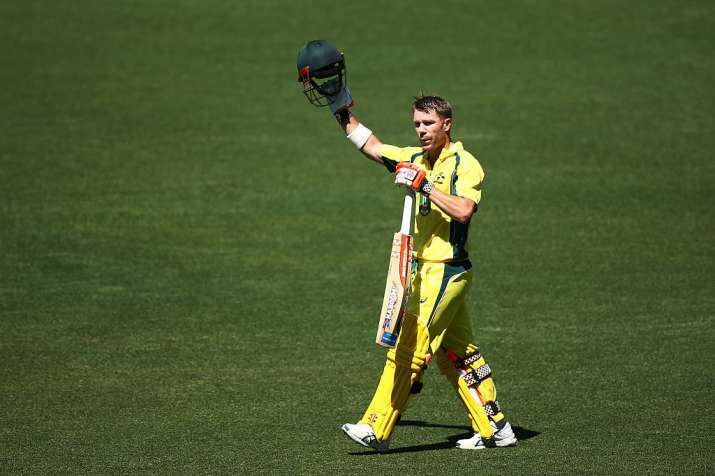 The Australian vice-captain was the third the highest scorer in the ODI series against India where comrade Finch ranked second with 250 runs in only three innings. Rohit Sharma topped the charts with 296 runs in five matches. Australia now head back home to take on their arch-rivals England for the much awaited 'Ashes' series. Whereas, India will take on New Zealand in three ODIs and T20Is respectively, starting on October 22.